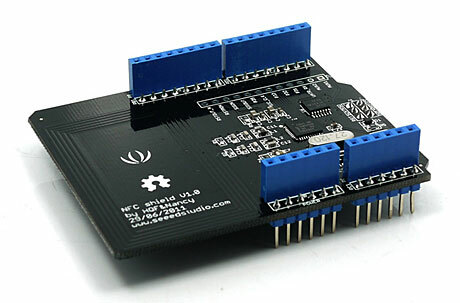 New software for Seeed Studio’s US$30 NFC shield for Arduino, an add-on that brings NFC functionality to the low cost computing platform via an NXP PN532 controller, has been released. The new library replaces the software-based serial peripheral interface (SPI) implementation in the existing library with a hardware implementation that makes the device usable with an ethernet shield. “The new PN532 library uses SPI HW implementation from official Arduino SPI.h library” says developer Javier Montaner.